Monitor your heart rate during your treadmill exercise. Your treadmill workout is an effective cardiovascular exercise -- but only if you elevate your heart rate into the aerobic training zone. 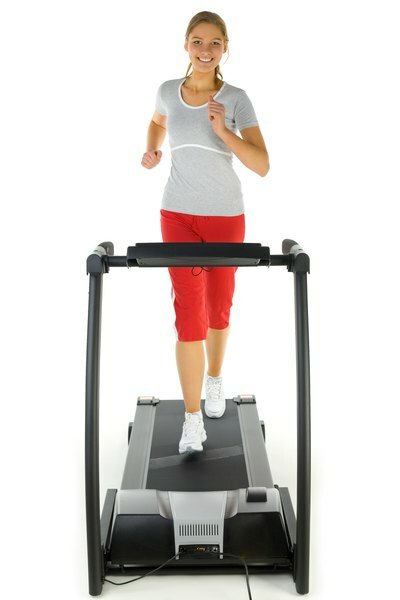 When training your cardiovascular system, your treadmill provides a rhythmic, full-body, consistent exercise, which will elevate your heart rate. Use your age as a guide to set your training zone -- and your feelings of exertion during the workout. 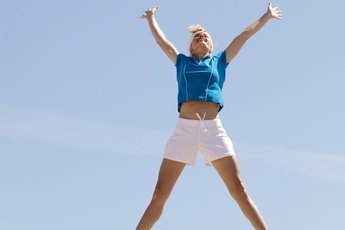 If you feel as if you're working too hard, reduce your intensity level, as your target heart rate is just an estimate. Subtract your age from 220 to determine your maximum heart rate, MHR. Calculate this each year, as your heart rate range is age-based. For example, your MHR is 190 beats per minute if you are 30 years of age. You don't want to walk at a pace that elevates your heart rate above your maximum level. Multiply your MHR by 0.60, or 0.50 if you're new to exercise, to set the low end of your target heart rate range. For example, the slowest you'll want your heart rate to beat is 95 beats per minute if you are age 30. To receive cardiovascular benefits from your workout, set your treadmill pace at a walk that increases your heart rate to at least this level. 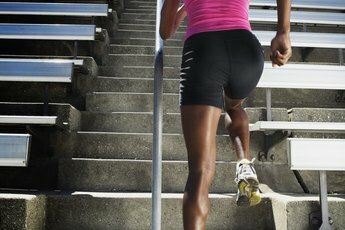 This is a good starting point, but aim to increase your pace as your fitness level improves. Multiply your MHR by 0.80 to set the high end of your target heart rate range. For example, your maximum heart rate per minute is 152 if you are 30 years old. 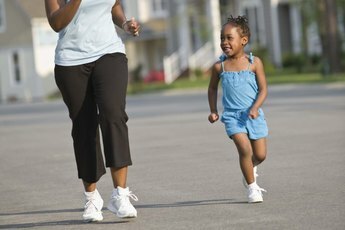 Walk or jog at a pace that increases your heart rate to your maximum if you are an experienced exerciser. This range requires more endurance, burns more calories and elicits a faster response from your cardiovascular system than the lower heart rate range. Locate your pulse alongside your neck or on the thumb underside of your wrist. Use the two fingers of the opposite hand to feel your pulse. As you walk, count the beats you feel within 10 seconds -- don't count the sound of your feet hitting the treadmill. If you're distracted, slow your pace or place your feet on the side rails as you count your pulse. Multiply your results by 6 to determine if you're within your workout range. If your pulse is too slow, speed up your pace. If your pulse is too fast, slow down your walk.